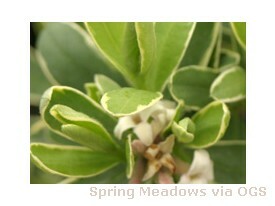 Product Information : This free flowering variegated beauty bears spicy-sweet flowers that start pink and open white. Continuous flushes of blooms from early spring to frost. Some consider the fragrance to be better than that of lilac.